Barral Institute UK is affiliated to the Barral Institute Inc. based in Florida USA. The Barral Institute is a health education, training and research organization dedicated to the advancement of Visceral Manipulation, Nerve Manipulation and related Manual Therapies. The Barral Institute works to better understand and validate the therapeutic effect of these hands on therapies; conducts workshops internationally to educate and train healthcare practitioners in the proper techniques and promotes education to the general public about the existence and therapeutic value of these modalities. Alumni include osteopathic physicians, allopathic physicians, doctors of chiropractic, doctors of Oriental medicine,physiotherapists, occupational therapists, acupuncturists, massage therapists and other professional body workers. 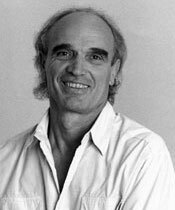 Classes in visceral manipulation have been taught since 1985 and the Barral Institute has been named after the developer of visceral manipulation therapies, French Osteopath and Physiotherapist, Jean-Pierre Barral. Citing his development of Visceral Manipulation (VM), Time Magazine named Jean-Pierre Barral, DO one of the Top Healing Innovators to watch in the new millennium. The Barral Institute offers its training programme worldwide through its affiliates. The UK affiliate is based in Ayr, south west Scotland and is responsible for its training throughout the United Kingdom, that is England, Scotland, Wales and Northern Ireland. It was established by Alison Harvey in 2008 who had already trained extensively in visceral manipulation and felt it was too good not to be made available to practitioners in the UK. BIUK offers courses, educational material to both the public and our students, facilitates study groups and networking. For the general public we offer visceral manipulation treatment. We can offer you the opportunity to sponsor workshops in your professional association, society, training school or department. Special terms may be available if you organise a group of participants and provide suitable location and facilities. We can also arrange for experienced Visceral Manipulation practitioners to speak to your staff or members, or feature in your conference programme. Please send us an email if you would like more information. We are always happy to have suggestions of new locations or ways to improve our services and value your suggestions or input.